While Americans are scampering from a largely phantom disease with the newly diagnosed case of Ebola in Dallas, the situation in West Africa appears to be deteriorating rapidly as the virus continues to grow at an exponential rate. Save the Children, an NGO based in England, reported on Wednesday that five people are being infected with Ebola every hour in Sierra Leone. The NGO warns the rate is expected to double by the end of October. The nation shares a border with Liberia, which is also experiencing a significant outbreak, and Guinea, which appears to have contained the epidemic. The exponential growth of the disease is now taking its toll, causing shortages of medical supplies and facilities in infected regions. While Save the Children estimated that there are 726 new reported cases of Ebola in the area, there are only 327 available hospital beds in the entire country. Many infected with the virus do not come to treatment facilities, leaving the possibility open that many more are dying of the disease than are actually known. “We are facing the frightening prospect of an epidemic which is spreading like wildfire across Sierra Leone, with the number of new cases doubling every three weeks,” said Rob MacGillivray, the organization’s country director for Sierra Leone. Now, Sierra Leone struggles to maintain control of the disease. According to reports by the Parliament’s International Development Committee, Britain cut its aid to Sierra Leone and Liberia by nearly 20 percent; this may have contributed to the “wildfire spread” of the disease in now the two most affected countries. “The scale of the Ebola crisis now unfolding in Sierra Leone and Liberia may well be connected to declining levels of international support for health system improvements in what remain two of the poorest and least developed countries in the world,” said the committee chair, Malcolm Bruce. Save the Children is now appealing to Britain to invest more resources into Sierra Leone. The UK has already provided 143 treatment beds and is anticipating providing almost 600 more in the next months. However, if the infection rate doubles as anticipated, it is unlikely these efforts will be sufficient to meet the needs of the country. As such, the organization is also imploring other countries to help as well. “We need a coordinated international response that ensures treatment centers are built and staffed immediately,” said Justin Forsyth, chief executive of Save the Children. While several countries, like the U.S., Great Britain, China, France, and Cuba have sent personnel and resources to Sierra Leone, there are whole cities untouched by the aid. 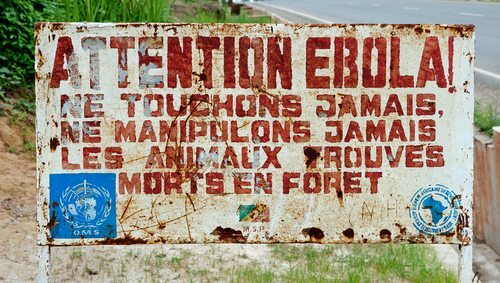 Places like Bombali have neither Ebola treatment facilities nor holding centers for the sick to die.